Another hand drawn counting resource that I use for maths stations and rotations. Could be made self-checking by drawing stars with the right number of points for each number. 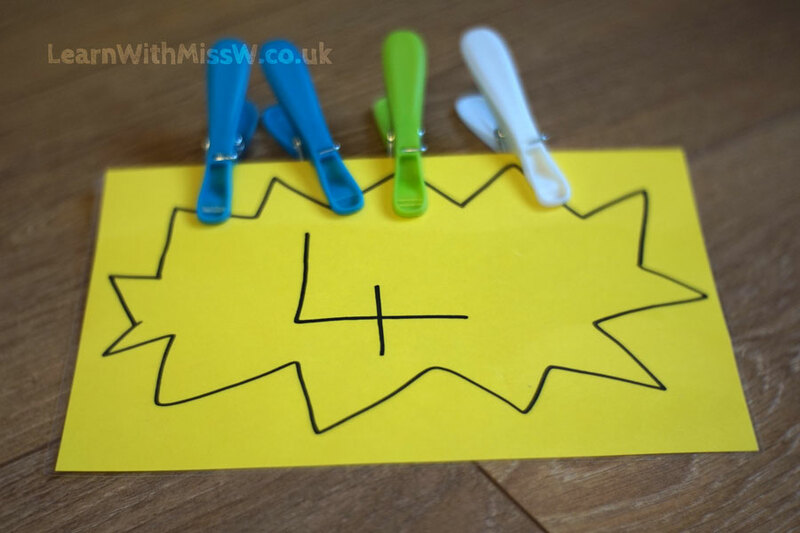 Using pegs helps develop fine motor skills. This is a ‘move to count’ activity, which is an earlier developmental stage than ‘touch to count’.